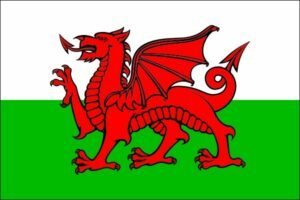 Wales has a population of over 3 million people who elect the National Assembly, which appoints the First Minister to form the Government of Wales. Twenty areas of responsibility are devolved to the Welsh Government. These include education, health, social services, housing, agriculture, environment, transport, tourism, economic development and local government. The UK Government and Parliament in London has no direct influence over these areas. This means that UK charities and other organisations whose work coves any of these devolved powers should have a Wales public affairs strategy alongside their public affairs strategy for England. In 2018 and 2019 I am working for the Motor Neurone Disease Association in the UK and am unable to take on any consultancy work. If you need to contact me, please email Ian Chandler. The Pressure Group is a UK based consultancy that provides expert support to non-profit organisations, including charities and public sector bodies. Its founder and main consultant is Ian Chandler. Other experienced freelance consultants are sometimes called in to provide specialist services to supplement the support provided by Ian. The Pressure Group Consultancy is a trading name of Ian & Karin Chandler Ltd, a company registered in England & Wales, number 5757443. Throughout 2018 and 2019 I am working for the Motor Neurone Disease Association in the UK and am unable to take on any consultancy work. If you need to contact me, please email Ian Chandler.